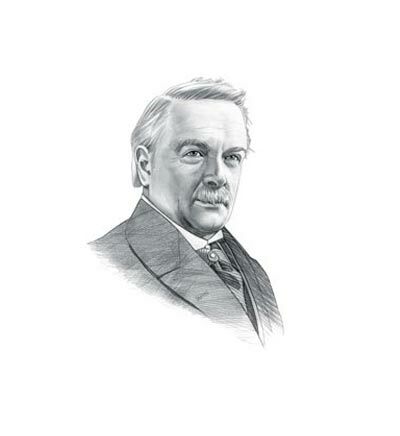 This short David Lloyd George Speech - Cause of the Great War featured is in the form of a transcript, extract, passages or lines and demonstrates the good oratory skills of a great public speaker with the ability to use clear words and text. Speech Example Topic / Subject Type: Informative Speech. It is a satisfaction for Britain in these terrible times that no share of the responsibility for these events rests on her. She is not the Jonah in this storm. The part taken by our country in this conflict, in its origin, and in its conduct, has been as honourable and chivalrous as any part ever taken in any country in any operation. We might imagine from declarations which were made by the Germans, aye! and even by a few people in this country, who are constantly referring to our German comrades, that this terrible war was wantonly and wickedly provoked by England - never Scotland - never Wales - and never Ireland. Wantonly provoked by England to increase her possessions, and to destroy the influence, the power, and the prosperity of a dangerous rival. There never was a more foolish travesty of the actual facts. It happened three years ago, or less, but there have been so many bewildering events crowded into those intervening years that some people might have forgotten, perhaps, some of the essential facts, and it is essential that we should now and again restate them, not merely to refute the calumniators of our native land, but in order to sustain the hearts of her people by the unswerving conviction that no part of the guilt of this terrible bloodshed rests on the conscience of their native land. What are the main facts? There were six countries which entered the war at the beginning. Britain was last, and not the first. Before she entered the war Britain made every effort to avoid it; begged, supplicated, and entreated that there should be no conflict. I was a member of the Cabinet at the time, and I remember the earnest endeavours we made to persuade Germany and Austria not to precipitate Europe into this welter of blood. We begged them to summon a European conference to consider. Had that conference met arguments against provoking such a catastrophe were so overwhelming that there would never have been a war. Germany knew that, so she rejected the conference, although Austria was prepared to accept it. She suddenly declared war, and yet we are the people who wantonly provoked this war, in order to attack Germany. We begged Germany not to attack Belgium, and produced a treaty, signed by the King of Prussia, as well as the King of England, pledging himself to protect Belgium against an invader, and we said, "If you invade Belgium we shall have no alternative but to defend it." The enemy invaded Belgium, and now they say, "Why, forsooth, you, England, provoked this war." It is not quite the story of the wolf and the lamb. I will tell you why - because Germany expected to find a lamb and found a lion.. This famous short David Lloyd George Speech - Cause of the Great War is a great example of a clear address using excellent text to persuade and inspire the audience by a natural leader and motivator. Use this famous short transcript of the David Lloyd George Speech - Cause of the Great War as an example of a great oration and clear dialogue. A Quote or extract from this short David Lloyd George Speech - Cause of the Great War, provides an illustration of, or allusion to, the famous events the era. This famous short David Lloyd George Speech - Cause of the Great War is famed for its powers of verbal communication making good use of the words and language to illustrate the subject. Whether this short address can be described in the category of powerful, persuasive, motivational or inspirational speeches the excellent powers of oration which are used makes it a famous short speech.